This weeks article is written by Guest Blogger, Laura Kendall. Laura is a former attorney and the co-founder of escape room management software solution, Escape Assist. When I practiced law in California, I saw people sue for almost anything….clothes hangers, barking dogs, and even breast implants! As such, I believe it is only a matter of time before a player sues after getting hurt in an escape room. Personal injury cases are something to think about because a large monetary damage award could put an escape room company out of business. Below I will discuss a few ways to minimize potential liability, and ways to cope if you end up facing a lawsuit. This article is not a substitute for formal legal advice, it is simply a general overview so you can start a discussion with your local lawyer. Game Master A rushes through her room clean-up and accidentally leaves a lamp cord lying across the floor. During the next game, player B trips on the cord and hurts his ankle. Game Master A (and the escape room company she works for) may be liable for player B’s medical expenses and other damages. Escape Room A’s building is old and its wooden steps are rotting. Player B injures his leg when one of the steps breaks. Escape Room A may be liable for player B’s medical expenses and other damages because it knew/should have known about the rotten steps and it failed to repair/replace them. 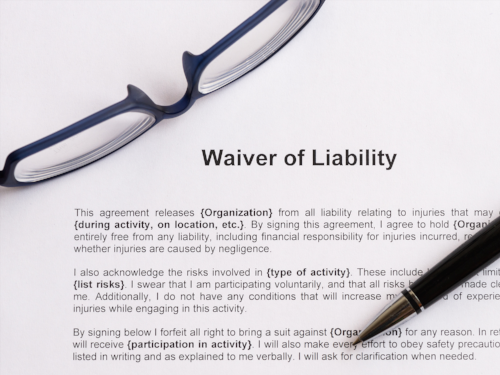 Having players sign a legal waiver is a great way to limit potential liability. 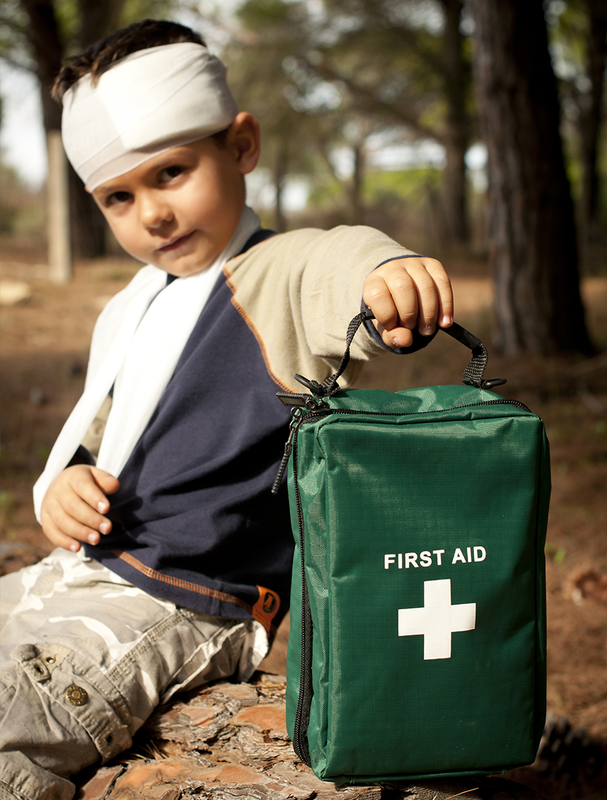 Ideally, a waiver will prevent injuries in the first place. Sometimes reading a legal document outlining the rules and potential risks of the game will make players take the game more seriously. Hopefully, players will pay more attention to their surroundings and keep an eye out for their own safety. In the unfortunate event that a player does suffer an injury in your escape room, a waiver may help prevent a lawsuit. In some jurisdictions, waivers constitute a complete defense against liability and can prevent a player from dragging you into court. Courts in favorable jurisdictions view signed waivers as enforceable binding contracts, and if your waiver includes language where players voluntarily waive their right to sue, they may be barred from bringing a lawsuit. In most jurisdictions, a waiver cannot prevent a lawsuit, but it is still very valuable as a defense (or at least a partial defense). For example, a waiver can help you argue that the player was partially responsible for his/her own injuries---this is called an “assumption of the risk” defense. Essentially, you can argue that the player read the waiver, understood the potential risks of playing an escape game, and had a responsibility to look out for their own safety. If this defense is successful, any monetary damages awarded to the player will be reduced to reflect their portion of responsibility. Waivers can also give you more control over a potential lawsuit. For example, you can make the players agree to go to mediation or arbitration in order to settle the matter, and avoid a lengthy/expensive court case. Everyone in your escape room company needs to make room safety a priority. Obviously, the occasional accident can happen, but many can be avoided by taking extra care. When you build your escape room, try to use materials/props that are unlikely to cause injuries. For example, you may want to avoid using lots of mirrors, because they can break easily and players can be injured by broken glass. Identifying potential hazards is also important. For example, you should place “watch your step” signs on stairs, and place “Do Not Touch” symbols on ductwork, wires, electrical outlets, and other hazards. Maintaining a safe room is key. After each game, your game masters should make sure that all game props are reset properly, and nothing in the room is broken/defective. It is important to note that room safety does not mean just the physical objects/room. Gamemasters should also be trained to look at players. For example, game masters should keep an eye out for intoxicated players, child players, and others that are more likely to hurt themselves. Regardless of how careful you and your staff are, accidents can still happen. As a precaution, I recommend that escape room businesses invest in general liability insurance. In the event of a claim, your insurance policy should cover the legal fees needed to mount a defense, as well as damages awarded to a successful claimant. Many people acknowledge that accidents simply happen, and are willing to forgive. Others focus on placing blame. Sometimes how you/your staff respond at the scene of the accident can affect whether or not the injured party chooses to sue. Often if the injured party feels ignored/not taken seriously they will choose to take legal action. You should respond to any injury immediately, and listen carefully to the player’s complaints/symptoms. Be sympathetic and offer any assistance you can. For example, offer to call an ambulance, offer them a first aid kit if you have one, perform first aid functions if you are properly certified to do so. Be kind, but do not apologize for the accident. Litigious people may consider an apology an admission of guilt and use it to hold you liable in court. Photos of the injured body part(s). It is important to report all accidents that result in injuries/property damage to your insurance company. In the event that the player does make a claim, your insurance company will likely handle the claim for you and/or appoint an attorney to defend you. Even if the player does not end up pursuing a claim, the insurance company can at least keep a copy of the incident report in their records and note that you are diligent about reporting possible claims. Please note, that some insurance companies can deny coverage if you fail to report an incident within a certain time frame, so it is essential that you notify them as soon as reasonably possible. When you speak with your insurance company make sure to discuss whether that kind of incident is covered under your policy. In the rare chance that it is not covered, you will need to obtain your own attorney. Learn About Copyright Infringement in Escape Rooms. If you rent your space from someone else, you should promptly notify your landlord of the incident. The alleged defective condition may fall under their responsibility or yours depending on the wording of your lease/rental agreement. As such, both of you should be aware of potential claims. You should promptly report any developments/communications to your insurance company and/or lawyer. For example, be sure to send copies of any documents you receive from the player/the player’s representatives. It is also important to let them know if the player contacts you directly about the accident. The player may call to ask you for money for medical bills, missed work etc. and want to settle the matter informally. However, it is important to pass these communications on to your representatives before you agree to anything. Hopefully this article has gotten you thinking about potential liability for accidents in your escape room. 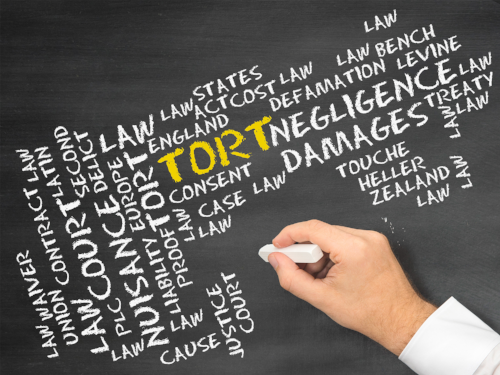 To learn more about the specific elements of tort claims, or discuss a specific incident please contact your local attorney. Laura Kendall is the Co-Founder of EscapeAssist Software. The EscapeAssist team has designed an all-in-one escape room software – game manager, booking system, website builder, digital waiver, leaderboard, and automatic player follow-up all in one app! Laura is a licensed California attorney with experience in various areas of law, including tort, employment, corporate, and intellectual property. She is an escape room enthusiast who has played over 60 games around the world. Laura is very active in the escape room industry as a blogger, top Quora writer, and contributing writer for the escape room trade magazine “The Last Lock”.